Looking to gift something out of the box yet heartwarming? We suggest you give Studio 1ne in Purasawakkam a shot. Located right opposite Abirami Mega Mall, this basement store offers a wide variety of personalized gifts. From photo printing, canvas printing and collage frames to photo albums, photo lamps and LED photo frames, you can choose from a range of options here. 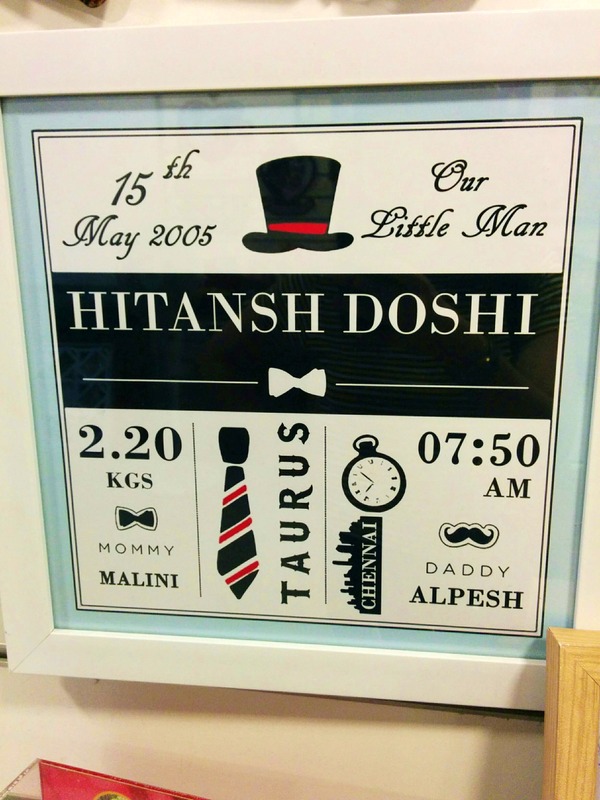 Our favorite variety was the metallic photo frame that comes in varying sizes with the smallest frame starting from about INR 450. You can also get photo cutouts, wooden caricatures with photos printed on them, engraved photos and 3D embossed photos at Studio 1ne. They also do photo-printing on mobile phone panels, t-shirt printing, mug printing and printing on pillows starting from about INR 500. But if you’re looking to floor someone with your gifts, you can go for Studio 1ne’s window photo blinds where you can choose blinds of any size and colour and get photos printed on them. With prices depending on the size of your drapes, the delivery for these may take up to 5-7 days. Studio 1ne also does live printing at events where you can give photo-printed t-shirts, mugs and frames as party favours. Fancy isn’t it?